Texas has the opportunity to become a clean energy leader—but nearly 30 Texan members of Congress would rather see the state fall behind others like New York, California, Florida, and many more. That's the only conclusion we can come to after they signed a letter railing against EPA's historic new Clean Power Plan, which puts national limits on carbon pollution from America's power plants for the first time EVER. Why are they supporting out-of-state coal interests instead of home-grown Texan energy? Tell your member of Congress you won’t stand for it. I am writing in response to your letter to Environmental Protection Agency Administrator Gina McCarthy dated May 22, 2014 regarding the agency's proposed new carbon pollution standards for power plants. The rules are of critical importance to the health and safety of our children and of future generations, and I'm asking that you reconsider your stance. Power plant pollution fuels global warming and directly impacts the health of Texans. Global warming is already contributing to more intense storms, droughts, wildfires, extreme heat and flooding in Texas, threatening property, crops, local economies and lives. Pollution from power plants also harms the well-being of over one million adults and over half a million children in Texas who suffer from asthma. As the nation's energy leader, Texas has the resources and the know-how to create a diverse energy portfolio that relies on natural gas, wind, solar, energy efficiency, and other clean technologies to save Texans money and grow the state's economy without risking affordability, safety, or reliability. We already generate more wind power than any other state, and our reliance on all renewable energy sources has increased 140 percent in recent years. And according to the American Natural Gas Association, the rule will increase natural gas demand by 45% (much of which will be produced by Texas) with little price impact. If state leaders take advantage of the standards' flexibility by integrating more energy efficiency and non-carbon-emitting energy into the power mix, Texas can lead America's clean energy economy. Protecting the health of Americans does not mean sacrificing jobs. A Natural Resources Defense Council analysis found that limits on carbon pollution could create more than 274,000 jobs nationwide. Texas's shift to renewables is already generating good, high-paying jobs. 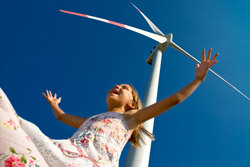 Plus, compared to coal mining, wind and solar wind and solar energy generate 40 percent more jobs per dollar invested (http://greenforall.org/wordpress/wp-content/uploads/2012/10/job-creation.pdf). The rules also have the support of the public. A recent Stanford poll found that 76 percent of Texans support carbon limits. And more than 30 Texas elected officials, including state Senators Ellis and Garcia, have voiced support for limits on carbon pollution from power plants. And for good reason. The estimated $55 billion to $93 billion per year in 2030 in climate and health benefits, as well as the lower electricity rates, job creation and opportunity for innovation offered by the Clean Power Plan make the EPA's rule an attractive mandate. We urge you to embrace the proposed regulations on carbon pollution for the health and economic prosperity of Texans.